“It’s easy to play any musical instrument, all you have to do is touch the right key at the right time and the instrument will play itself.” – Johann S. Bach. One of the youngest and greatest composer musicians ever was Wolfgang Amadeus Mozart. He could play tunes on the piano at aged three and began composing when he was merely four years old. Are we all born with a ‘musical gift‘ or just a select few? Is talent a gift at birth or something we acquire over time? For most of us, I suspect, whatever gifts or talents we were born with still requires fine-tuning. Why early exposure to a musical instrument is key to a child’s development? We’ve all heard of the Mozart effect, which demonstrates the incalculable positive benefits of a child’s early exposure to music. With a plethora of musical instruments at their disposal, perhaps the key to their musical career is exposure. Allow them to follow their hearts and inclinations. Normally, it will lead them in the right direction. I would recommend private tutoring or online lessons to keep the child engaged. However, the parent’s presence, participation and praise is paramount to the child’s progress. Drums are a great way to for children to learn rhythm and vent their frustrations at the same time. A mini 5-piece drum set is recommended for kids too small for the full size, and ear-plugs for parents who cannot tolerate their practice. Unlike the drums, the ukelele is a relatively quiet instrument, so that your child’s practice can indeed become music to your ears. Learning new chords and songs can be a funfilled experience resulting in countless hours of pleasure and enjoyment for all. The violin, it is said, is the one instrument that best resembles the human voice. It is ideal for children under the age of six because of its very small size and easy handling. Countless violinists have mastered the instrument over the years but perhaps the greatest ever was Niccolo Paganini (1782-1840) who played very difficult pieces on a single string. These are probably the best instruments for children to begin, even from birth, according to the experts. The piano was the starting point for composers such as Mozart and Beethoven who became world famous classical music icons. The keyboard is an electronic version of the piano and both instruments are great for learning music fundamentals and a stepping stone to other instruments. A great introduction to stringed instruments for kids on their musical journey is the guitar. There are many variations of this instrument but the two main categories are acoustic and electric. Jimmy Hendrix (blues), Les Paul (Jazz, country) and Andres Segovia (classical) are just a few famous guitarists who started at a very early age. The Recorder can be described as a fun instrument, ideal for young children due to its small size and flexibility. The recorder can serve as a great introduction to the woodwind family, whose other members include the flute, clarinet and saxophone. Perhaps the best word to describe the Saxophone is versatility. Coming in a number of different sizes and genres, the saxophone is one of the most popular instruments among students. Whether you’re a Rock, Jazz, Blues or R&B lover, you’ll find saxophonists are in great demand. In conclusion, could your child be the next Mozart or Beethoven? Perhaps not…but what is a home without music? Consider the countless hours of sheer bliss you may have missed. The joy is in the journey. Celebrate small achievements. Be patient and proactive. Remember, your presence, participation and praise is paramount to the child’s progress. Any comments, constructive criticisms and suggestion are greatly appreciated. Does it really affect your mood, attitude? Is it also good for your health, happiness and well-being? The first benefit that comes to mind is that singing, like laughing, is a mood enhancer. It changes your perspective, brightens an otherwise dull day and gives you a sense of assurance and well-being. Of course, a lot depends on the genre of music, lyrics and melody. Researches at University Of Missouri found that people who listened to (or sang) upbeat, cheerful music at least 1/2 hour a day, had a greater level of happiness than those who did not. Ever thought of singing as a great way to exercise? Singing is not only beneficial to the lungs, it also expands the diaphragm and increases overall circulation of oxygen throughout the body. Additionally, studies have shown that singing actually improves your quality of sleep and reduces snoring. improving posture and mental alertness. Perhaps you feel that singing in a choir is not your cup of tea because you cannot sing in tune. Actually, group singing is also beneficial to your health and well-being. In Bible times, David, who became King Of Israel was a prolific songwriter and singer. As a Shepherd boy, he was invited to play his instrument – a harp – before King Saul to soothe his troubled spirit. David’s music was Saul’s medicine. It brought healing and comfort and a sense of well-being. We’re all in the business of health and wholeness, so why wait for the ideal circumstances to sing? Sing in the rain, car, shower or anywhere you can. However, if you have a voice that can be described as bombastic, rather than fantastic, just keep the volume down so as not to annoy the neighbors. Whereas singing may actually prolong your life, annoying the neighbors may actually shorten it. Of course, musical instruments like a guitar or piano are often very helpful as accompaniments, but nothing can compare with the beauty of the human voice. Still, if your voice is a little off key, it may just need a little fine tuning. Singorama 2.0 is your all-in one on-line Essential Guide To Singing. Can anyone learn to sing? You bet! Whether you goal is to impress your friends or family, sing in groups or professionally, Singorama is a great way to excel. Singorama provides singing and vocal lessons, tips and exercises including a coach to guide you each step of the way. With its full 60-day money back guarantee, what do you have to lose? PRICE: Buy now for only $67.00 online access. “I’m so impressed with the versatility of Singaroma. It is made for beginners and advanced singers alike… Thank you so much for bringing back my joy in singing.” – Jennifer Punt, US. So, why not put the joy back in your singing and improve your health and well-being? Then you can add you testimonial to those satisfied customers above. Your questions, comments, constructive criticism or suggestions are welcomed and will be greatly appreciated. In today’s world, information on any subject matter is just a ‘click’ away. When it comes to Online Classical Guitar Instruction, there is no exception. The number of books, blogs or videos available online can be overwhelming. So how do we meander through the maze of classical guitar instruction, taking away the mystique and making the most meaniful choice? So what are some features of an Online Classical Guitar Course which separates the men from the boys? Hopefully, this review of Classical Guitar Shed – “the Woodshed” – will, pardon the pun, shed some light on these questions, allowing the reader to make the best decision possible. Price: $49.00 mth / $399.00 yr. Classical Guitar Shed (“The Woodshed”) is a methodical approach to mastering the classical guitar. Served in bite-size portions, the Woodshed starts at very basics and guides you through the what, why’s and how of guitar practice. Built on the three key pillars of technique, reading and patterns, the Program progressively enhances your crucial skills set. The theme of Classical Guitar Shed is “play beautifully,” and, as a student of the program, I can truthfully say that learning and fun go hand-in-hand. Whereas the Program does not promise to turn you into a Julian Bream overnight, it will turn your classical guitar practice into an enjoyable experience. As owner and instructor, Allen Mathews is well qualified for the purpose for which he has been called. In addition to holding a B.A.degree in classical guitar performance Allen has coached and taught privately for over 15 years both in the US and Brazil. A faculty member of Reed College and Lewis and Clark College in Portland, Oregan, Allen has studied with some of the best in the business. Consequently he brings a different perspective which, as a musician and guitarist, distinguishes him from the others. Who is Classical Guitar Shed For? Who is Classical Guitar Shed not for ? Is the Woodshed For You? Detailed Practise Log with bench-marks included to keep you organised. Complete satisfaction or a full refund plus a free course once you notify CGS within 30-days after signing up. Enormously prolific, music wasn’t just his passion, it was his life. Otherwise, how was it possible for him to compose over 600 chamber and concert pieces in just thirty-five years? However, the following is just a sampling of some of his greatest works – music you must hear music before you die. Once you hear them I’m sure you will agree. symphony and string quartet compositions. What was Mozart’s favorite instrument? In addition to the piano, this extremely talented Austrian composer played other instruments, including the viola. Still, to Mozart, the organ was “the king of instruments.”. Can exposure to classical music improve one’s overall health and well-being? These theories were tested through experiments published in Nature – a premier journal for scientific research. Additionally, Don Campbell, author of The Mozart Effect, highlighted some of the research and findings. So overwhelming was the evidence that schools in Georgia have adopted to put a classical music CD in every child’s hand. Studies have shown that the best music for relaxation and stress relief is instrumental music. Mozart’s CD, Classical Relax Music, is just what the doctor ordered. Over ninety-minutes of delightful piano music accompanied by a symphony orchestra and the soothing sounds of nature in the background, this is pure bliss. Is your child inattentive or lacking concentration? Mozart’s piano Music for Kids is worth its weight in gold. The two hours of quiet relaxing music is ideal for school settings, study, home, or any learning environment. Mozart died even as he lived, composing music. In fact, Mozart’s Requiem, which he began on his deathbed, was played at Haydn’s funeral in 1809. Although the cause of his death remains a mystery, he is remembered as one of the greatest musicians ever. Any questions, comments, or suggestions will be greatly appreciated. Sources : Classic fm, Redlands Symphony, Wikipedia. The number of kids and teens taking music courses online has increased tremendously in recent years thanks to the new technology. Kids beginning Music Courses are now taking advantage of You-Tube channels which facilitates learning at their own pace and schedule. But why should children take a music course? Why learn to play a musical Instrument? Apart from just another hobby, any beginner music course should, first of all, be fun. Secondly, there are distinct social and psychological advantages to be gained from learning an instrument. Learning music at an early age generally perform better in the Arts, Maths and sciences. These benefits alone, which are priceless, would surely be worth any investment of time or resources in any child’s development. ..The first online beginner’s guitar course designed especially for kids and teens. The Kids Guitar Academy Beginners’ Guitar Course is a high premium quality course which has the benefit of over twenty years’ professional training and experience. 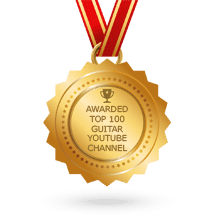 Rather than searching random You-tube videos, kids learn the guitar much more quickly by following the course’s organized step-by-step format. Easy access to the student helpline for additional support. 50+ supplemental mp3 & .pdf downloads. All new lessons and course updates including free access to the course for a lifetime. –Charles Walker, the Charles Walker Band. Any questions or comments would be greatly appreciated. Want to know how to turn your passion into profit? Imagine, if you can, life without music. Never mind – it’s unimaginable. So music has always been around and, indeed, every day we’re bombarded with music. But what about rhythm? In it’s simplest form, rhythm is the regular recurrence of anything in motion. So, if your walking, talking, jogging or just listening to your heartbeat – you’ve got a rhythm. And any sound coming from that activity is indeed – music. So if music is the rhythm of life then rhythm must be its soul. Can Music Also Save Lives? Ask Alice Herz- Sommer, the inspirational Jewish and Holocaust survivor, whose life was a testimony to the power of music. Alice became passionate about the piano from an early age of life. Imprisoned in one of Hitler’s concentration camps, her life was spared because she was a musician. She played or took part in over 100 concerts and performed all of Chopin’s Etudes from memory. Alice took up residence, after the war in Israel, where former Prime Minister, Golda Meir, Authur and Leonard Bernstein attended her house concerts. Later, towards the end of her life, Alice moved to an apartment in London, thoroughly enjoying life and practicing her piano every day. Alice died at the age of 110, and was, in fact, the oldest Holocaust survivor at the time of her death in 2014. If music is the rhythm of Life – which genre is the most beneficial? Every genre of music has some benefits. Hence, it is important to listen to all genres. For example, listening to jazz music, especially with the sounds of nature in the background, can be very soothing. A Cambridge University Research group study found that listening to RAP music may help to fight depression. Rock or Pop music can actually increase physical endurance, according to a 2009 study whereas country music lovers experience more joy. However, researchers at USC found that classical music, lowered systolic blood pressure levels, more than any other genre or no music at all. In addition, listening to certain favorites by composers like Mozart, Bach, Brahm has been described as “Brain Food.” In fact, studies have shown that classical music is indeed the best music for retention, relaxation and stress relief. Beginners Rhythm Food Guide 101. Be warned, however, that we’re NOT counting calories. Still, the chart may yet create hunger pangs. Imagine – if you will – a man playing piano in the middle of a train station in Paris. True story. Already he is attracting attention as persons from many countries pause between their travels. Along comes another musician sits next to him and starts playing in unison without speaking a word. The breathtaking performance of the artists along with the rhymic music is a crowd pleaser. Soon we have a live audience, nodding their heads and clapping their hands in applause and appreciation. That’s why music is called a universal language – it crosses cultural and racial barriers and unifies all nationalities together as one. Indeed, music is the magnet that connects us all. Music is also the universal language which we all speak. ..And the beat goes on. Are you missing a beat? Perhaps music can restore the rhythm. Any questions, comments or suggestions would be greatly appreciated. Graphics Courtesy NickReedent.com, Classic fm. Could working at home and earning from it be the life you want? Does Playing Musical Instrument Make You Smarter? Or do only smarter people play a musical instrument? The brain is the most amazing and complex organ in the human body. Neurologists are still trying to find out exactly how it works. What they do know – thanks to neuro-imaging technology – is that playing a musical instrument requires some unique mental gymnastics. Neurologists also determined that playing a musical instrument encompasses almost all areas of the brain. The more difficult the piece of music, the more adaptable the brain becomes with processing the information. That newly acquired ability can then be translated to other non-musical activities. Perhaps this explains why musicians score higher than non-musicians in many other disciplines as well. The question still remains, however, whether playing an instrument makes you smarter, or do only smarter people play a musical instrument? Heard about the Harmony Project? Based in Los Angeles, it is a non-profit organization that provides free music education to children in poor and gang-related neighborhoods. Amazingly, students from this school were defying all odds, heading directly into UCLA and other notable universities after graduating high school. This startling discovery by the Project founder prompted Researchers at the Northwestern University to investigate. In their research, 44 students were tracked over a two-year period, as they learned to play an instrument. There were also before and after IQ test as well as other measurements of success. Results showed clear evidence of measurable changes in the brain. Researchers concluded that these changes were caused by the students’ musical training which, in turn, allowed the students to more readily process sound. That increased ability also translated into the students’ proficiency in reading and fluency in speaking. Current US President Donald Trump tops the list of musical Presidents. Trump, I understand, plays the accordion. Other former musically minded Presidents of the modern era are Bill Clinton who plays the saxophone and Barak Obama who sings. He was the 3rd US President who also drafted the Declaration Of Independence. As sixth President Of The United States, he formulated the Munroe Doctrine. John Quincy Adams (1767-1848) played the flute. This sixteenth President of the US issued the Emancipation Proclamation. Abraham Lincoln (1809 – 1865) played the violin. As the 30th President was credited with preserving America’s old moral and economic principles. Calvin Calvin Coolidge (1872 – 1933) played the harmonica. “I played every instrument but the slide trombone and the E-flat Cornet,” he once said. However, despite his musical acumen, he has been described as one of the worst Presidents due to the various scandals which plagued him. Of course, many other famous Presidents who played musical instruments have been excluded in the interest of time and brevity. In looking at the evidence, however, one must conclude that most of the Presidents who played an instrument also achieved much success during their tenures in office. Your kind comments, questions and suggestions are greatly appreciated. Sources: World Journalism Institute, Summer, 2018. Is Classical music missing a beat? Has the music of Brach, Brahms & Beethoven become alien to the under 40-generation? At one time, perhaps, but no longer. Not since the birth of the internet and you-tube generation. For classical music lovers, the internet is the dawning of the golden age. There was a time when classical music was considered a dead or dying genre. In fact, its disappearance from the television and other media between 1980 – 2000 gave some credence to this belief. Internet browsing has made classical music more accessible to all. Digital sales are now the wave of the future due to lower marketing costs. The role of technology and the Internet on classical music. Technology has brought a new excitement to music audiences like never before. The compelling videos create an appreciation and empathy for the artist and an appetite which is not easily appeased. Many musicians, for example, now engage audiences through interactive websites, promote live performances and their new recordings. People return for more information, give an opinion or comment. London’s classical music lovers were given the treat of a lifetime recently. Toddlers, teenagers, and even seniors came out in droves to see the charismatic 28-year-old Gustavo Dudamel conduct the 120-strong Venezuela’s Simon Bolivar Youth Orchestra. And the conductor – the dynamic, charismatic, 28-year old Venezuelan virtuoso Gustavo Dudamel. No disappointment here. 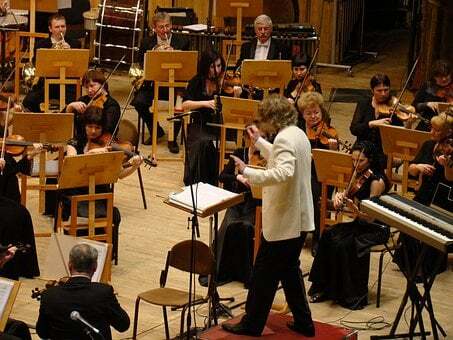 In fact, after the playing of Tchaikovsky’s 4th symphony, the audience brought the house down. They raised the roof with their applause and flung their colorful jackets into the crowd with excitement and exuberance. Enter the You-Tube-Symphony Orchestra – composing 96 musicians from all around the globe. Their primary meeting and auditioning place – the internet. Yet, after only 2 days of rehearsals in person, their concert at Carnegie Hall was sold-out. The under- 40 generation have embraced the new technology with open arms. The production and presentation of classical music through the internet have bred new life into a dying genre. A younger generation like Mr. Dudamel and Chinese pianist Lang Lang are seizing the batons and running. Their ways of communication are fresh, engaging and often surprising when contrasted with traditional methods. I love to hear from my readers so please let know if this article has helped you in any way. Your questions, comments, or constructive criticisms are greatly appreciated. To Build Your Own Free Website, please click here. Accompanied by the superb London Philharmonic Orchestra, this is a fantastic collection of children’s classic stories put to music. Highly recommended for kids of all ages, these stories come to life in an uplifting, entertaining and educational environment. All CD’s come with a 24-page activity book. Peter, a young boy, decides to disobey his parents and climb over a garden wall. Lo and behold – behind the wall he encounters a wolf and the drama begins. Thanks to some friends – a bird, cat, and dog – however, he was able to capture the wolf and return it to the zoo. The London Philharmonic Orchestra, Grammy-nominated conductor Stephen Simon as well as narrator Yada combine to make Peter & The Wolf a magical listening experience. The Peter & The Wolf CD, as with all CD’s, can be purchased separately at the very economical price of $16.98, inclusive of activity book and free shipping. Clara receives a nutcracker for Christmas and wonderful things begin to happen. The Nutcracker is considered one the world’s most famous ballet and is sure to delight the young, and not-so-young alike. This is a classic, enchanting story of a prince who falls in love with a beautiful princess. However, an evil magician casts a spell on the princess which turns her into a swan. Only by proving his true love for the princess can the spell be broken. Casey At The Bat and highly entertaining Tortoise and the Hare. All CD’s can be purchased separately at https://www.maestroclassics.com for the price of $16.98, including a 24-page activity booklet along plus free shipping. For the more tech-savvy, among us, this collection is also available in Mp3 format at the price of $9.98 each, for all computer and mobile devices. Alternatively, the entire collection in Mp3 format is also available for the reduced price of $99.98, $10.00 off the regular 13 mp-3 collections. The 24-page activity booklet in PDF format is also included with the download. the composer’s biography and a sing/dance along track. Rave customer reviews have been abundant. One teacher found them ideal for classroom, rainy days at home and car rides. endorsed this amazing music collection. Want To Build Your Own Successful Business Online? Click Here. admin on Does Playing Musical Instrument Make You Smarter?